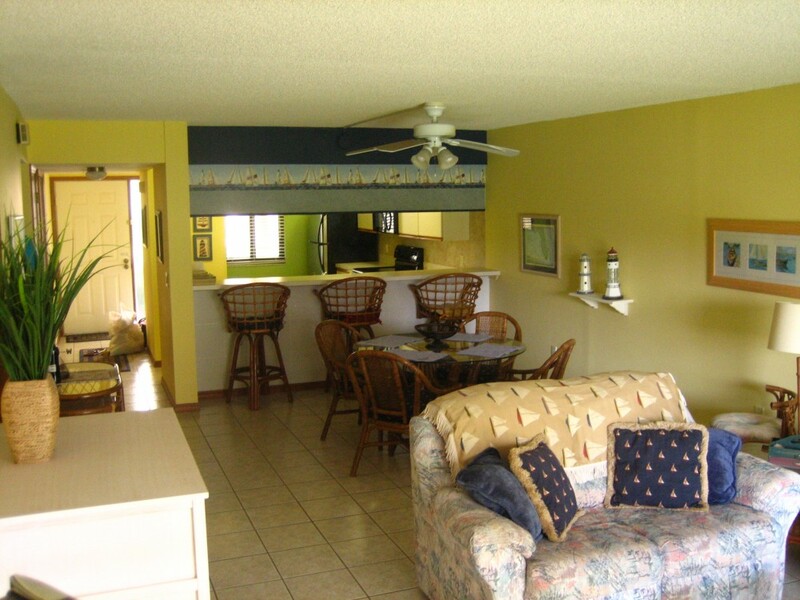 This gorgeous Cocoa Beach Vacation Rentals has been built looking at the high demands of our guests who seek peace, tranquility and a homely environment. Besides that the unit is very close to all major places, which makes all travelers to reach out main destinations within no time. If you are one of them who need all these facilities and a good peace of mind, this dazzling condo should be your choice. Being a ground floor unit, our Florida Vacation Rentals permits you to access the beach and the beach activities without any inconvenience. Access the white sand beaches to spend a day with your family members and friends. There are also possibilities to be engaged in many water sports and other adventure games. Go on a ride and come back with a plenty of experience. Got tired? There are highly sophisticated beds (1 King Bed, 1 queen bed and 1 twin bed) waiting for you in the condo. All bedrooms (2) have ceiling fans, linens, air conditioning and large screen television with free cable connection. Get in the morning to witness the amazing sunrise. If possible, capture it in your high resolution camera. Have fun in swimming pool and for hot bath, use our beautiful hot tub. If you have vehicle, we have a huge parking area. It is a smoke free home, but pets are allowed inside the premises.